M&J Gourmet Gift Shop - Chocolates Specialty Foods and More! 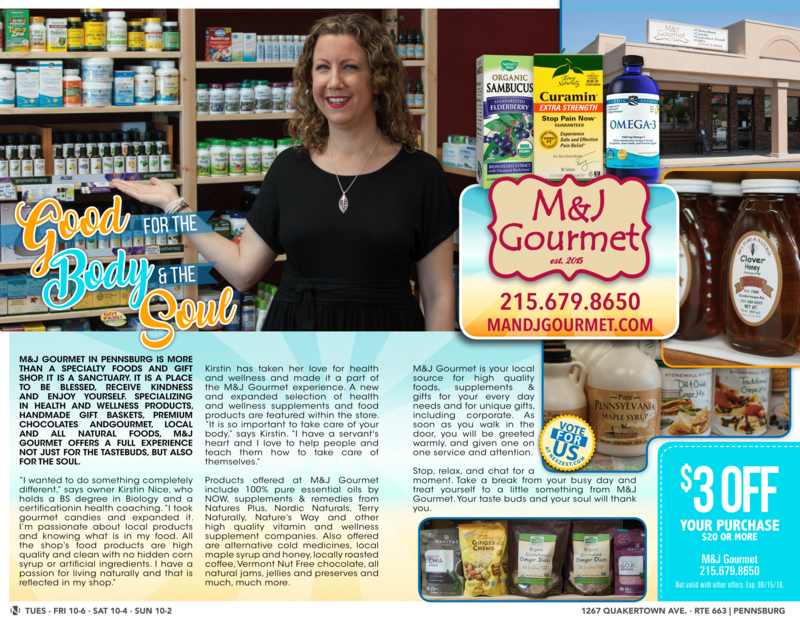 M&J Gourmet is a specialty store, focusing on Quality first and foremost. We seek to meet your needs, offer you kindness & customer service and high quality goods! But, we are more than a shop; we think of ourselves as a community sanctuary and place to be blessed, receive compassion and enjoy yourself! We carry clean ingredient Local & Natural Specialty Foods, Health Foods, Vitamins & Supplements, High Quality Chocolate & Candy, plus we create Handmade Custom Gift Baskets! We are here for everyday browsing, to satisfy your sweet tooth, or to help you put together a gift for anyone special in your life, including corporate clients. We sell a variety of products, including chocolates, truffles, locally roasted Speakeasy coffee, local honey, local maple syrup, gourmet dips, meat/grill sauces, meat rubs, jams, jellies, gourmet tea, and more! Plus we have added a Health & Wellness Section specializing in Natural Supplements, Remedies and Foods! We sell brands such as Stonewall Kitchen, Republic of Tea, Gardners Candies, Vermont Nut Free, Natures Plus, Nature’s Way, Terry Naturally, and many more! Stop in and see us today! New in Store: Health & Wellness! We are pleased to announce that in 2018, we expanded our store to include an all-natural Supplements, Natural Treatments & Health Foods Section. In this section, we offer top quality Vitamins, Supplements, Natural Remedies, Essential Oils, Health Foods and more! We strive to only carry health products from well established, Independently Owned Companies that Manufacture & Source within the US, are non-GMO, cGMP compliant, environmentally responsible, provide 3rd Party Assay Testing Verification and who perform Extensive QC Purity Testing. Many of these companies also provide a Money Back Guarantee for their products. Find more info on these products here. At M&J Gourmet, we offer unique, customized gift baskets, bags and arrangements. We creatively design gifts that fit your budget and the recipient’s preferences. We offer shipping services to anywhere in the US. Check out our many options or “Create Your Own”….including our Breakfast Lover’s gift basket with specialty coffee or tea, jams, syrups & mixes. Our Comfort Basket is for nurturing and healing with teas, chocolates, soup and crackers. Surprise your loved one with a Date Night Dinner gift basket or choose our Seasonal Basket loaded with seasonal goodies, or our Taste of PA Basket filled with local, tasty treats! 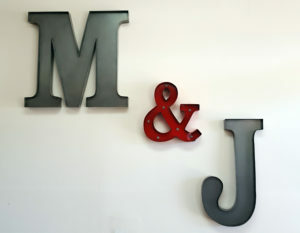 M&J Gourmet is more than a shop. It’s a place to receive kindness, be blessed and enjoy yourself. Upon walking in the door, we will greet you warmly and be available to offer you one-on-one service should you choose it. 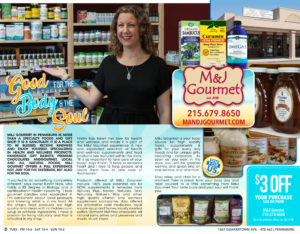 M&J Gourmet serves the Upper Perkiomen Valley by meeting the needs for good quality, artisan and local foods, premiere chocolate and specialty candy. We specialize in handmade, customized gifts and gift baskets, chocolate and candy trays & bouquets, and favors for weddings, showers and other events.